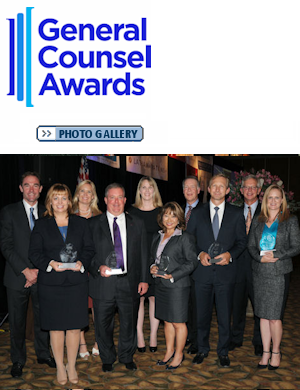 A crowd of more than 500 members of the Orange County legal community turned out to see five of their colleagues honored at the Business Journal’s fourth annual General Counsel Awards at the Hyatt Regency Irvine last night. UCI School of Law Dean Erwin Chemerinsky served as master of ceremonies for the Sept. 17 event, providing an update on the school’s plan for a Center for Corporate Legal Leadership—an initiative that he unveiled to the public at last year’s General Counsel Awards. The program—which aims to offer courses for lawyers moving from private practice to corporate duties as well as advanced training for current corporate lawyers—has added veteran corporate attorney Ron Naves as executive director. Classes are expected to start next year, according to Chemerinsky. 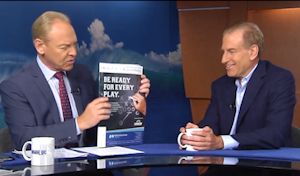 David Flattum of Pacific Investment Management Co. in Newport Beach, and Ray Weston of Irvine-based Taco Bell Corp.
Pimco is a subsidiary of publicly traded Allianz SE, based in Germany. Taco Bell parent Yum! Brands Inc. in Louisville, Ky., also is publicly traded. Private Company: Ashley Good of Arbonne International LLC in Irvine. Lily Hughes of Ingram Micro Inc. in Santa Ana. Eva Lehman of Western Digital Corp. in Irvine. The Business Journal will profile this year’s honorees in its Sept. 30 issue.